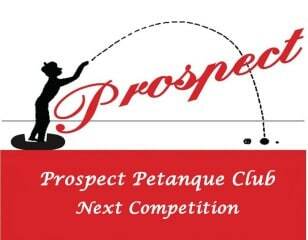 Welcome to Prospect Petanque Club ! View from the "hill' of Prospect Gardens - Narnu Wirra Park. Petanque is a family bowls game where gender, age and physical prowess have very little impact on success. Established in 1996, Prospect Petanque is one of the largest Petanque Clubs in South Australia. We extend a warm welcome to visitors and new players. 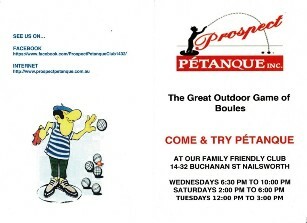 Come and try petanque with us. What Are The Basic Skills of Petanque?